 Manitoba Girls Football Association: Important Changes to Registration for 2017! Important Changes to Registration for 2017! Football Manitoba has implemented a new Online registration to replace the old forms that were filled out at the Clubs at registration. This means that all players registering for a MGFA team in 2017 will have to register with Football Manitoba prior to registering with their club. Clubs have been advised that in order to register a player, they must have proof of Registration with Football Manitoba. You will be required to pay the $30 Fee which in the past was collected by the clubs and submitted on your behalf in the past. It was built into your registration. The $30 Fee is broken down as follows, $11 Football Canada Membership and $19 Football Manitoba Membership. This is what gives you accident coverage and is required for all players. Payments can be made online or in person at the office, but you must register via the above link prior to registering at your club and bring a copy of the registration to your club when you register. Clubs are currently putting together their registration information and we will share it as soon as we have received it, however I recommend registering online as soon as possible. Rosters have a maximum number of players and are filled first come first served. Not having your Football Manitoba registration when you go to register for your team could prevent you from making it onto a roster. Should you encounter any problems while registering, please call 204-925-5769. 2017 season is right around the corner!